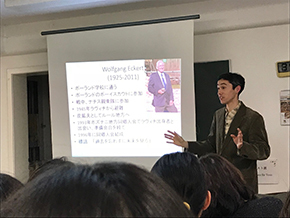 Duesseldorfer Sophia-kai held an interesting speech event on March 08, 2019 by Dr. 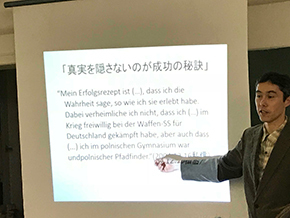 Professor Goro-Christoph Kimura, German Studies of the Faculty of Foreign Studies　as a joint-event with ''Culture Café" which is organized by our member Dr. Mariko Fuchs. 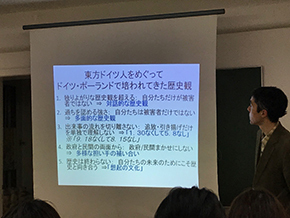 The speech title was "Conflict, Invasion, Deportation, Reconciliation - Relationship of Neighborhood in East Asiafrom the view point of the historical relationship development between Germany and Poland". Kimura sensei presented us various interesting episode including not-well known 'backside-stories'. His speech was so interesting and impressive that we 'had to close' the event. 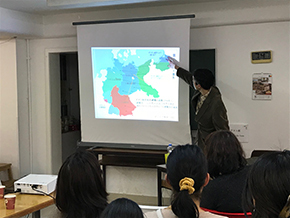 He also explained us that his motivation to have taken up this subject was the stories spoken by his German grandparent whose home towns are in the current Polish territory where were the German territory until the end of 2nd World War. 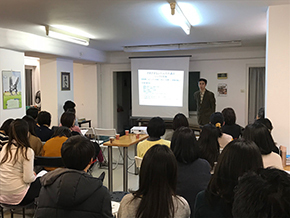 It is not an easy task, but he is contributing to overcome the neighborhood relationship in East Asia and he gave us various tips to think about this complicated issue. He held the same speech in Poland, too.